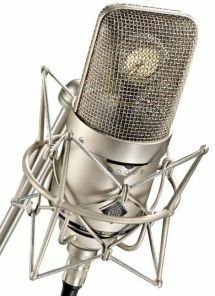 Welcome to the web home of Dale Mitchell and Announcerboy Productions, providing a full variety of voiceover services for broadcast, commercial, and industrial applications. Dale is known for his versatility and ability to voice whatever range and intensity level you need. From warm and intimate, to powerful and intense, Announcerboy Productions can handle your voiceover needs. Dale has worked as a voice talent for over 31 years. His commercial and industrial voiceover, and radio and TV imaging work has been heard on great radio and TV stations across the USA, as well as Canada, and Dale has been featured both on and off-camera in industrial presentations in the US that were also seen in all the major countries of Europe. For AFTRA/SAG signatory projects, Dale is represented by Atlanta Models & Talent. Call 404-261-9627 or on the web at this link.